If you are currently studying your A Level, BTEC or Access course and are interested in studying one of the many Social Science degrees offered at university, then we would love to see you at our Taster Day. 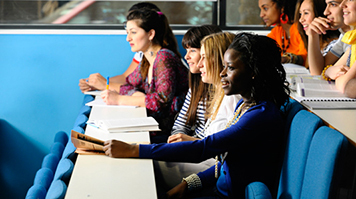 All of our Social Science degree programmes offer stimulating debates – from examining the relationship between people and the environment, to looking at how and why social norms develop. You'll critically and theoretically engage with the rapid changes that are re-shaping societies, understanding international relations, along with looking back at history and understanding its implications for the future, as well as gaining a rigorous understanding of crime and criminal justice.